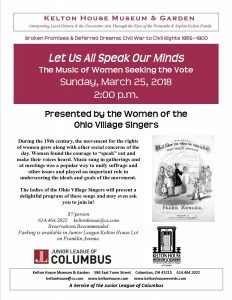 Sunday, March 25, 2018 at 2:00 p.m.
During the 19th century, the movement for the rights of women grew along with other social concerns of the day. Women found the courage to “speak” out and make their voices heard. 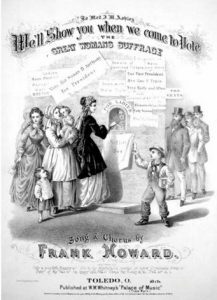 Music sung in gatherings and at meetings was a popular way to unify suffrage and other issues and played an important role in underscoring the ideals and goals of the movement. 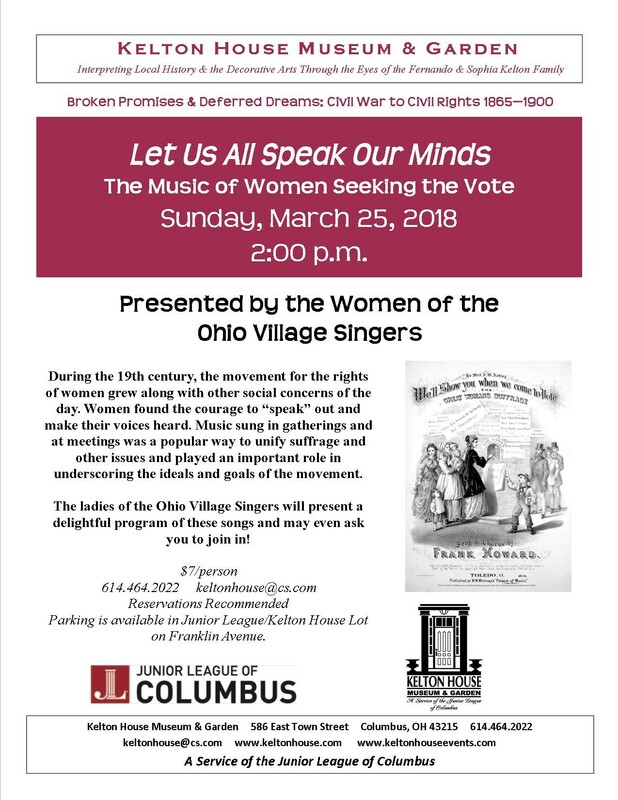 The ladies of the Ohio Village Singers will present a delightful program of these songs and may even ask you to join in! Parking is available in Junior League/Kelton House Lot on Franklin Avenue.